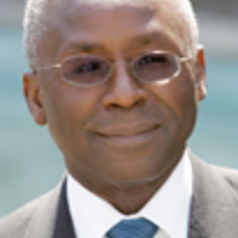 Professor Oyewale Tomori is immediate past President, Nigerian Academy of Science. He was pioneer Vice-Chancellor at the Redeemer’s University, Nigeria. He is a recipient of the NNOM, Nigeria’s highest award for academic and intellectual attainment. At the University of Ibadan, Nigeria, as Professor of Virology, he led research into study of viral infections, and elucidated the properties of Orungo virus, registered with the ICVT. In 1981, he received the USPHS Certificate for contribution to Lassa Fever Research. At the WHO Africa Region, as Regional Virologist from 1994-2004, he set up the African Regional Polio Laboratory Network, which provided laboratory diagnostic support for polio eradication, and became the forerunner of regional diagnostic laboratory networks for other diseases. He has been involved in the investigations of outbreaks of VHFs (YF, EVD, etc) infections in many African countries. Tomori serves on several national and international advisory bodies including, Nigeria Expert Review Committee (ERC) on Poliomyelitis Eradication and Routine Immunization; and as member of the US-IOM Committee on Sustainable global surveillance of zoonotic diseases; US-IOM Committee on identifying and prioritizing new preventive vaccines for development; WHO Strategic Advisory Group of Experts (SAGE); Co-Chairman, ASADI/USNAS/NASAC Study Team on Country Ownership of Africa’s Development, SAGE Working Group on Ebola. He is a Fellow of the Royal College of Pathologists (UK), Nigeria Academy of Science and Nigeria College of Veterinary Surgeons and an international member US National Academy of Medicine. He is a recipient of the Nigeria National Order of Merit (NNOM), the country’s highest award for academic, intellectual attainment and national development.